A premiere girl’s summer, Birch Knoll is located alongside Twin Lakes in beautiful northern Wisconsin. The camp has been owned and operated by three generations of the Baier family and has been a summer home away from home for dozens of girls. 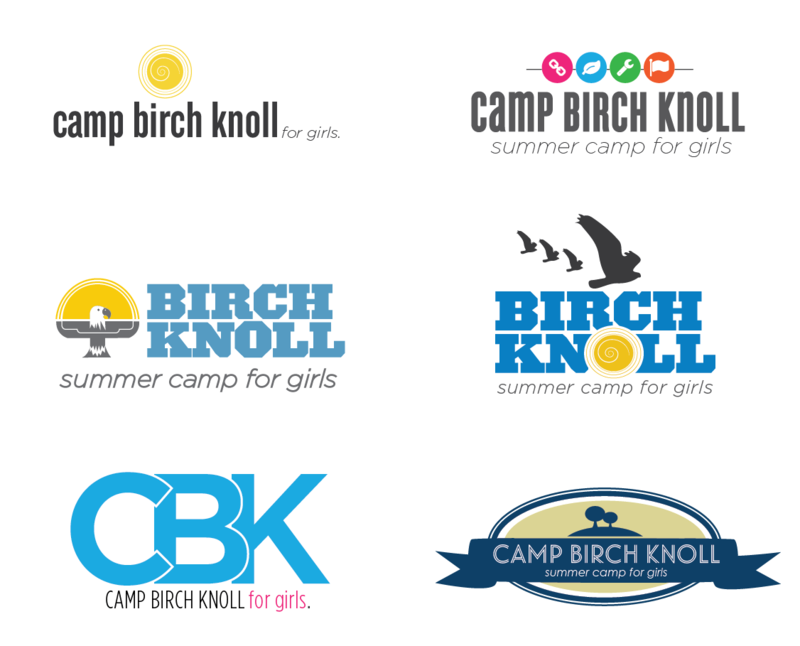 Prior to this project, Camp Birch Knoll had used a variety of images and typefaces to represent the camp. Together with the client, we made a decision to create a consisent identity to be used on all the marketing materials. Initial identity concepts focused on aspects that were important to the camp culture, location and history. A modernized version of a sun illustration that was used in previous marketing materials was a forerunner, along with abstractions of the camp eagle mascot, and an ultra-modern reductive, simple CBK typographic solution. In the end we narrowed down to a single idea and with some modest refinements, the new identity featuring a combination of the camp mascot and the sun was finalized. provide a portal for parents to stay in contact with their campers, update account info, etc. For both organization and efficiency, we broke the design and implementation of this project into phases, each building on the launch of the one before. During our meetings with the client, we established goals for the redesign of the website. Like the identity, we chose certain aspects to focus on throughout the site. The three main areas we chose to highlight were the camp activities, the beauty of the camp landscape and facilities, and the high level of experience of the camp staff. It was determined that the best way to feature these was through large-scale photography, clear concise typography, and simple navigation. 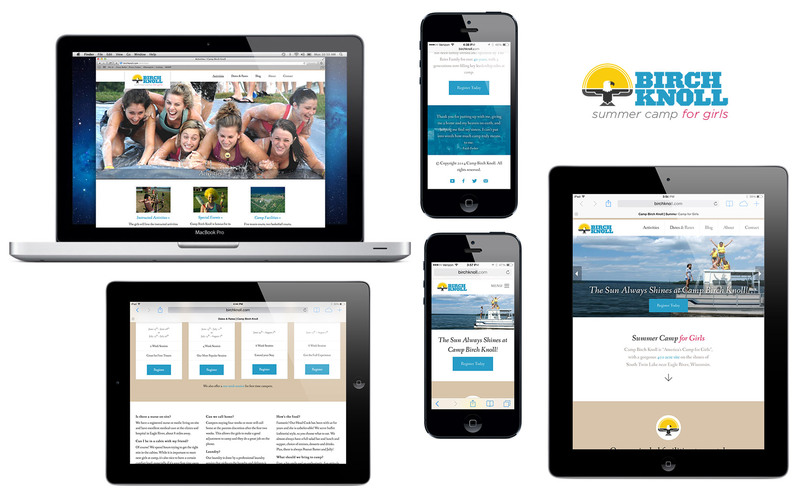 We took into account the large number of people who would visit the site on mobile devices such as tablets and smart phones and took measures to make sure the site was optimized for all screen sizes. In this phase we will be addressing accepting registration for campers online and adding a feature to the camp activities and facilities which allows site visitors to see an illustrated aerial view of the camp with detailed descriptions of each of the buildings, activity areas, and scenic landscape. We are currently in the beginning stages of this phase. More information to follow.